Uavos has announced that it has completed the test flights of its SURVEYOR-HE Unmanned Aerial System (UAS), which is based around the company’s UVH-EL drone, equipped with an electric engine unit. 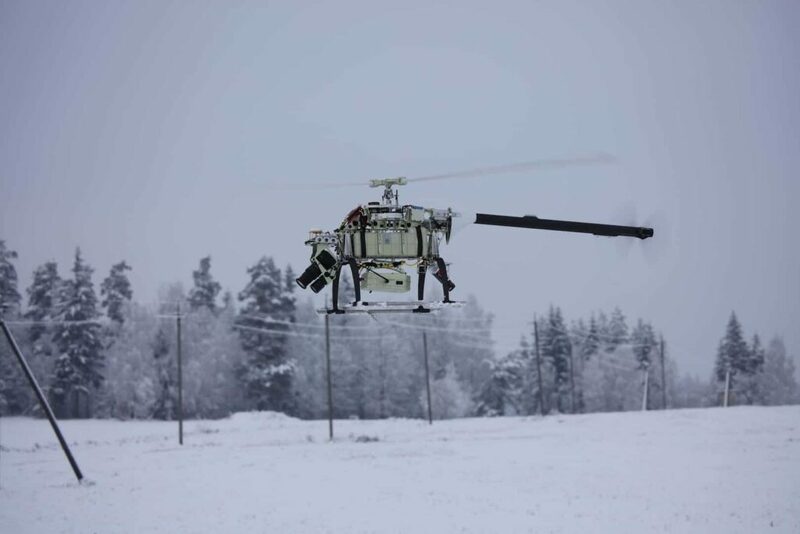 The unmanned helicopter has increased performance with carrying capacity, flying range, and extended temperature range. The UVH-EL is a multipurpose helicopter with fully automatic take-off, flight and landing designed for a payload of 11-13.2 lbs (5-6 kg) with a maximum take-off weight of only 55 lbs (25 kg). The flight duration in this light configuration is 45 minutes. The vendor package includes a high-capacity battery which enables flight time up to 1.5 hours with a maximum take-off weight of 66 lbs (30 kg), and a payload weight of 11-13.2 lbs (5-6 kg). The unmanned helicopter is equipped with two lithium-ion batteries assembled by Uavos. The UVH-EL has high performance characteristics and is capable of flying at high altitudes in difficult weather conditions. “The unmanned complex is all-weather, and can perform flights at temperature difference from -4F to +104F (-20C to +40C). Radius of data transmission in direct radio visibility in the basic configuration is 43.5 miles (70 km). Our complex implements retransmission of data on the command line, which significantly increases the area of ​​safe operation of the complex. The EW countermeasure function makes it possible to carry out research operations in the conditions of jamming of satellite radio navigation signals and the command line channel,” said Vadim Tarasov, Uavos investor and Board member. The complete SURVEYOR-HE system includes the UVH-EL unmanned aerial vehicle and a command module. The length of the fuselage is 87.8″ (2230 mm), and the diameter of the main rotor is 98.4″ (2500 mm). The practical range of the unmanned helicopter is 93.2 miles (150 km), and the maximum of the static ceiling is 11483 ft (3500 m). The UAV can reach speeds of up to 75 m/h (120 km/h). The UAS is intended to be used in surveillance operations, monitoring, communications, and anti-drone protection. “Created on an already proven, reputable platform, this helicopter has superior characteristics that increase the reliability of the vehicle. In particular, the tail rotor drive is removed, the BLDC (brushless) motor and the fixed-pitch rotor blades are installed, the ballistic rescue system is finalized. We are confident that the performance characteristics of the new Uavos unmanned helicopter will expand the possibilities for our Customer, improve the quality and level of project implementation,” continued Tarasov.